The Old Lock Up Gallery is a beautiful Grade II Listed Building which lends itself perfectly to a diverse range of events that are both unique and intimate experiences. Below are forthcoming events in our art gallery and peaceful creative space. 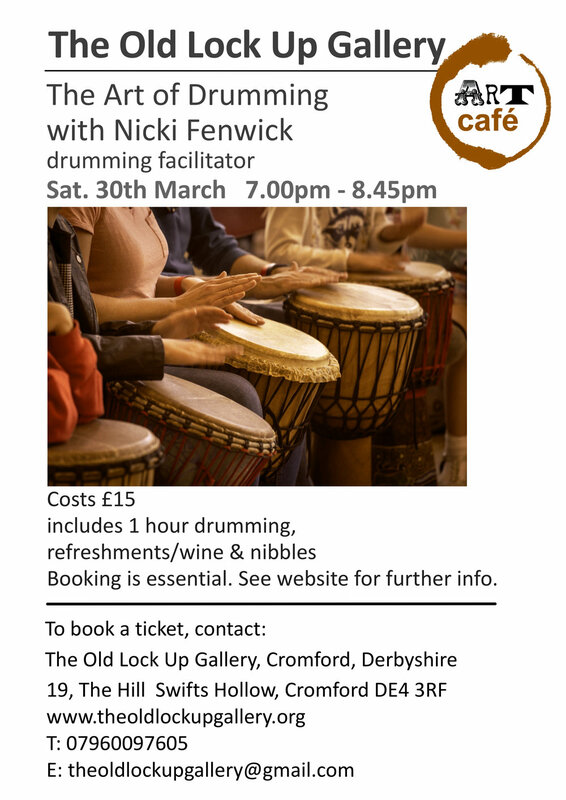 introducing our second ‘Art Cafe’ - join us on the 29th March for ‘The Art of Drumming’ with Nikki Fenwick. participate in this fun and engaging activity, regardless of experience. of fun whilst contributing and learning! The evening will end with chat, wine and some delicious nibbles! This event is for you if you want to explore drumming in a relaxed and creative atmosphere - suitable for absolute beginners and experienced drummers alike. 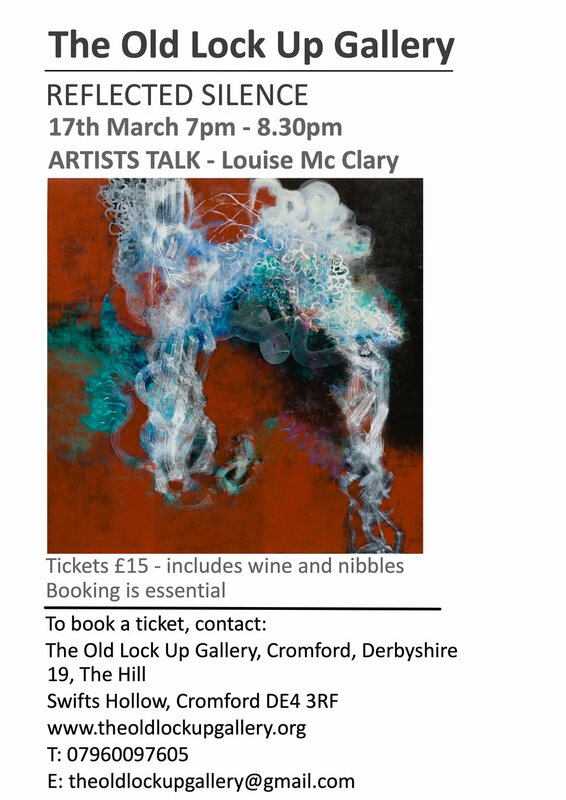 Join Louise Mc Clary at The Old Lock Up Gallery to hear Louise discuss her work, influences and life as an artist. The talk will be followed by a glass of wine, delicious nibbles, mezze and chat. 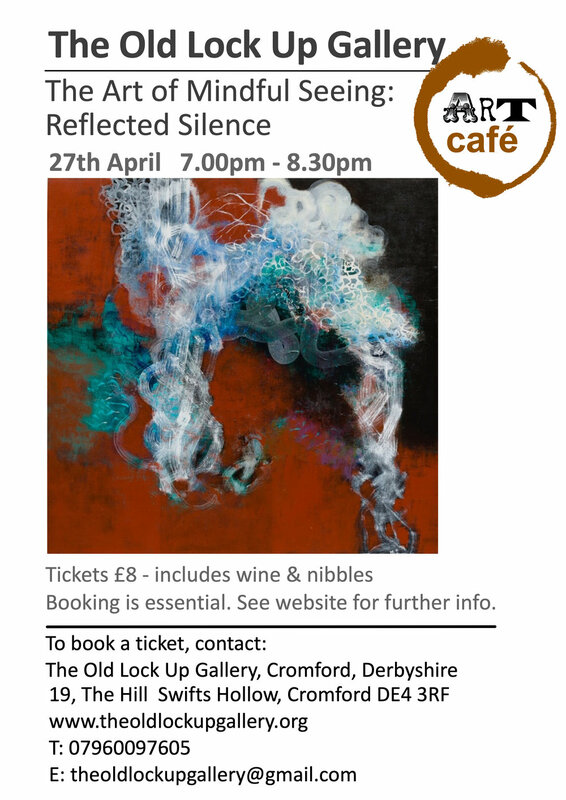 introducing our second ‘Art Cafe’ - join us on the 27th April for ‘The Art of Mindful Seeing – Reflected Silence. We often view art quickly, making judgements on whether we like a piece of work based on previous experiences or preconceived ideas. This event allows us to question and explore these judgements. Step into the beautiful setting of The Old Lock Up Gallery and our current exhibition of beautifully expressive vibrant paintings to explore how to engage with the work mindfully; acquire skills/insights into how to see and engage with art. The evening will end with chat, wine and some delicious nibbles and mezze! This event is for you if you want to explore the way in which you engage with art, or are interested in mindfulness and want to spend an evening with other art enthusiasts by the log burning stove in the gallery.